A. Stewart Fotheringham is Professor of Computational Spatial Science in the School of Geographical Sciences and Urban Planning at Arizona State University. He is also a Distinguished Sustainability Scientist in the Juile Ann Wrigley Institute of Sustainability. 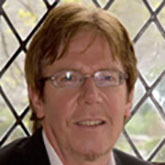 He established both the Centre for GeoInformatics at the University of St Andrews in Scotland and the National Centre for Geocomputation in Ireland. He is a member of the US National Academy of Sciences and the Academica Europeae and a Fellow of the UK’s Academy of Social Sciences and serves on the Executive Committee of the Transportation Research Board and on the Evaluation panel for the European Research Council’s Consolidator Grants scheme. He was awarded the first Science Foundation Ireland Research Professorship in 2004 and has been awarded over $15m in funding, published 12 books and almost 200 research papers and book chapters. His research interests are in the analysis of spatial data sets using statistical, mathematical and computational methods. He is well-known in the fields of spatial interaction modelling and local statistical analysis; the latter as one of the developers of Geographically Weighted Regression. He has substantive interests in health data, crime patterns, retailing and migration. Fotheringham, A. S. 1999. Local modelling. Geographical and Environmental Modelling 3:5-7. Fotheringham, A. S. 1994. What does 'doing a Ph.D. in GIS' mean?. Environment and Planning A 26:6-8. Fotheringham, A. S. 1993. On the future of spatial analysis: The role of GIS. Environment and Planning A (Anniversary):30-34. Fotheringham, A. S. 1992. Commentary: Exploratory spatial data analysis and GIS. Environment and Planning A 24(12):1675-1678. Fotheringham, A. S. 1991. Commentary: GIS and spatial analysis: An NCGIA research initiative. Environment and Planning A 23(10):1390-1391. Fotheringham, A. S. 1991. Commentary: Some random(ish) thoughts on spatial decision support systems. Environment and Planning A 23(12):1699-1700. Fotheringham, A. S. 1990. Commentares: What's the fuss about fractals?. Environment and Planning A 22(6):716-719. Fotheringham, A. S. 1990. Commentaries: One view of a conference on SDSS: Are we descended from the Golgafrinchams after all?. Environment and Planning A 22(9):1137-1140. Fotheringham, A. S. and R. D. MacKinnon. 1989. Guest Editorial: The National Center for Geographic Information and Analysis. Environment and Planning A 21(2):142-144. Fotheringham, A. S. and D. C. Knudsen. 1985. Discontinuous change in the relative location of retail outlets: Further results. Modelling and Simulation 16(1):111-115. Fotheringham, A. S. and P. A. Rogerson eds. 2009. The SAGE Handbook of Spatial Analysis. SAGE Publications Ltd. ISBN: 978-1412910828. Gleeson, J., R. Kitchin, B. Bartley, J. Driscoll, R. Foley, A. S. Fotheringham and C. Lloyd. 2008. The Atlas of the Island of Ireland: Mapping Social and Economic Change. All Ireland Research Observatory and International Centre of Local and Regional Development. ISBN: 978-0901519917. Wilson, J. P. and A. S. Fotheringham eds. 2008. The Handbook of Geographic Information Science. Wiley-Blackwell. ISBN: 978-1405107969. Wilson, J. P. and A. S. Fotheringham eds. 2007. The Handbook of Geographical Information Science. Wiley-Blackwell. ISBN: 978-1-4051-0795-2. Fotheringham, A. S., C. Brunsdon and M. Charlton. 2002. Geographically Weighted Regression: The Analysis of Spatially Varying Relationships. Wiley. ISBN: 978-0-471-49616-8. Fotheringham, A. S., C. Brunsdon and M. Charlton. 2002. Quantitative Geography: Perspectives on Spatial Data Analysis 1st Edition. SAGE Publications, Ltd. ISBN: 978-0761959489. Fotheringham, A. S. and M. Wegener eds. 2000. Spatial Models and GIS: New Potential and New Models. Taylor & Francis. London and Philadelphia. ISBN: 978-0748408467. Fotheringham, A. S. and P. A. Rogerson. 1994. Spatial Analysis and GIS. Taylor & Francis. ISBN: 0748401032, 0748401040. Fotheringham, A. S. and M. E. O'Kelly. 1989. Spatial Interaction Models: Formulations and Applications. Kluwer Academic Publishers. Dordrecht/Boston/London. ISBN: 0-7923-0021-1. Fotheringham, A. S. and D. C. Knudson. 1987. Goodness-of-fit Statistics (Concepts and Techniques in Modern Geography). Geo Books. Norwich, UK. ISBN: 0-86094-222-8. Haynes, K. E. and A. S. Fotheringham. 1984. Gravity and Spatial Interaction Models. SAGE. Beverly Hills/London/New Dehli. ISBN: 0-8039-2544-1. Williams, P. A. and A. S. Fotheringham. 1984. The Calibration of Spatial Interaction Models by Maximum Likelihood Estimation with Program SIMODEL. Department of Geography, Indiana University. Fotheringham, A. S. 2015. Quantitative methodologies. In: Richardson, D., N. Castree, M. F. Goodchild, A. Kobayashi, W. Liu and R. A. Marston eds., The International Encyclopedia of Geography: People, the Earth, Environment and Technology. John Wiley & Sons. DOI: 0.1002/9781118786352. ISBN: 9781118786352. Fotheringham, A. S. 2015. Spatial interaction models. In: Richardson, D., N. Castree, M. F. Goodchild, A. Kobayashi, W. Liu and R. A. Marston eds., The International Encyclopedia of Geography: People, the Earth, Environment and Technology. John Wiley & Sons. DOI: 10.1002/9781118786352. ISBN: 9781118786352. Kelly, M., A. S. Fotheringham and M. Charlton. 2012. Mapping population change in Ireland 1841-1851: Quantitative analysis using historical GIS. Pp. Chapter 13 In: Noack, C., L. Janssen and V. Comerford eds., Holodomor and Gorta Mór: Histories, Memories and Representations of Famine in Ukraine and Ireland. Anthem Press. ISBN: 9780857285577. Curtis, A. J., J. W. Mills, T. McCarthy, A. S. Fotheringham and W. F. Fagan. 2010. Space and time changes in neighborhood recovery after a disaster using a spatial video acquisition system. Pp. 373-392 In: Showalter, P. S. and Y. Lu eds., Geospatial Techniques in Urban Hazard and Disaster Analysis. Springer. ISBN: 978-90-481-2238-7. Fotheringham, A. S. 2010. Geographically weighted regression. Pp. 1225-1231 In: Warf, B. ed., Encyclopedia of Geography. Vol 3. SAGE Publishing. Beverly Hills, CA. Foley, R., M. Charlton and A. S. Fotheringham. 2009. GIS in health and social care planning. Pp. 73-115 In: Bavaud, F. and C. Mager eds., Handbook of Theoretrical and Quantitative Geography. FGSE, University of Lausanne. Lausanne, Switzerland. ISBN: 978-2-9403-6808-2. Fotheringham, A. S. 2009. Geographically weighted regression. Pp. 243-253 In: Fotheringham, A. S. and P. A. Rogerson eds., The SAGE Handbook of Spatial Analysis. SAGE Publishing. London. Fotheringham, A. S., M. Charlton and U. Demsar. 2009. Looking for a relationship? Try GWR. Pp. 227-254 In: Miller, H. J. and J. Han eds., Geographic Data Mining and Knowledge Discovery. CRC Press. ISBN: 9781420073973. Fotheringham, A. S. and P. A. Rogerson. 2009. Introduction. Pp. 1-4 In: Fotheringham, A. S. and P. A. Rogerson eds., The SAGE Handbook of Spatial Analysis. SAGE Publishing. Fotheringham, A. S. 2008. Geographic information science: An introduction. Pp. 1-8 In: Wilson, J. P. ed., The Handbook of Geographic Information Science. Wiley-Blackwell. ISBN: 978-1405107969. Fotheringham, A. S., M. E. Charlton and C. Brunsdon. 2007. The geography of parameter space: An investigation of spatial non-stationarity. Pp. 297-320 In: Fisher, P. ed., Classics from IJGIS: Twenty Years of the International Journal of Geographical Information Science and Systems. CRC Press. Boca Raton, FL. ISBN: 978-0849370427. Fotheringham, A. S., M. E. Charlton and C. Brunsdon. 2007. The geography of parameter space: Ten years on. Pp. 321-326 In: Fisher, P. ed., Classics from IJGIS: Twenty Years of the International Journal of Geographical Information Science and Systems. CRC Press. Boca Raton, FL. ISBN: 978-0849370427. Fotheringham, A. S. 2006. Quantification, evidence and positivism. Pp. 237-250 In: Aitken, S. and G. Valentine eds., Approaches to Human Geography. SAGE Publications Ltd. London, UK; Thousand Oaks, CA; New Dehli, India. ISBN: 978-0761942634. Fotheringham, A. S. 2005. Analysing numerical spatial data. Pp. 191-206 In: Flowerdew, R. and D. Martin eds., Methods in Human Geography: A Guide for Students Doing a Research Project. Routledge. ISBN: 978-0582473218. Rees, P., A. S. Fotheringham and T. Champion. 2004. Modelling Migration for Policy Analysis. Pp. 257-296 In: Stillwell, J. and G. Clarke eds., Applied GIS and Spatial Analysis. John Wiley & Sons, Inc.. ISBN: 9780470844090. Champion, T., G. Bramley, S. Fotheringham, J. Macgill and P. Rees. 2003. A migration modelling system to support government decision-making. Pp. 269-290 In: Geertman, S. and J. Stillwell eds., Planning Support Systems in Practice. Springer-Verlag. Berlin/Heidelberg/New York. ISBN: 978-3540437192. Charlton, M., A. S. Fotheringham and C. Brunsdon. 2001. Analysing access to hospital facilities with GIS. Pp. 283-303 In: Clarke, G. and M. Madden eds., Regional Science in Business. Springer. ISBN: 978-3-642-07518-6. Fotheringham, A. S., C. Brunsdon and M. Charlton. 2001. Scale issues and geographically weighted regression. Pp. 123-140 In: Tate, N. J. and P. M. Atkinson eds., Modelling Scale in Geographical Information Science. John Wiley & Sons. West Sussex, England. ISBN: 978-0471985464. Fotheringham, A. S. 2000. Geocomputation and modern spatial data analysis. Pp. 33-48 In: Openshaw, S. and R. Abrahart eds., Geocomputation. Taylor & Francis. London. Fotheringham, A. S. 2000. GIS-based spatial modelling: A step forwards or a step backwards?. Pp. 21-30 In: Fotheringham, A. S. and M. Wegener eds., Spatial Models and GIS: New Potential and New Models. Taylor & Francis. London. ISBN: 9780748408467. Wegener, M. and A. S. Fotheringham. 2000. New spatial models: Achievements and challenges. Pp. 261-269 In: Fotheringham, A. S. and M. Wegener eds., Spatial Models and GIS: New Potential and New Models. Taylor & Francis. London. ISBN: 9780748408467. Atkins, D. J. and A. S. Fotheringham. 1999. Gender variations in migration destination choice. Pp. 54-72 In: Boyle, P. and K. Halfacree eds., Migration and Gender in the Developed World. Routledge. London. ISBN: 0415-17144-X. Brunsdon, C., A. S. Fotheringham and M. Charlton. 1997. Geographical instability in linear regression modelling - a preliminary investigation. Pp. 149-158 In: Eurostat, ed., New Techniques and Technologies for Statistics II. IOP Press. ISBN: 978-90-5199-326-4. Charlton, M., A. S. Fotheringham and C. Brunsdon. 1997. The geography of relationships: An investigation of spatial non-stationarity. Pp. 23-47 In: Bocquet-Appel, J., D. Courgeau and D. Pumain eds., Spatial Analysis of Biodemographic Data. John Libbey Eurotext. Fotheringham, A. S. 1997. Analysing numerical data. Pp. 155-171 In: Flowerdew, R. and D. Martin eds., Methods in Human Geography: A Guide for Students Doing a Research Project. Harlow. Fotheringham, A. S. 1997. Geographic information systems: A new(ish) technology for statistical analysis. Pp. 141-148 In: Eurostat, ed., New Techniques and Technologies for Statistics II. IOP Press. ISBN: 90-5199-326-9. Fotheringham, A. S., M. Charlton and C. Brunsdon. 1997. Measuring spatial variations in relationships with geographically weighted regression. Pp. 60-82 In: Fischer, M. M. and A. Getis eds., Recent Developments in Spatial Analysis: Spatial Statistics, Behavioural Modelling, and Computational Intelligence. Springer. ISBN: 978-3-662-03499-6. Rogerson, P. A. and A. S. Fotheringham. 1994. GIS and spatial analysis: Introduction and overview. Pp. 1-6 In: Fotheringham, A. S. and P. A. Rogerson eds., Spatial Analysis and GIS. Taylor & Francis. ISBN: 978-0748401048. Batty, M., A. S. Fotheringham and P. A. Longley. 1993. Fractal geometry and urban morphology. Pp. 228-246 In: Lam, N. S. and L. De Cola eds., Fractals in Geography. Prentice-Hall. Englewood Cliff, New Jersey. ISBN: 978-1930665699. Fotheringham, A. S. and A. J. Curtis. 1992. Encoding spatial informaiton: The evidence for hierarchical processing. Pp. 269-287 In: Frank, A., I. Campari and U. Formentini eds., Theories and Methods of Spatio-Temporal Reasoning in Geographic Space. Vol 639. Springer. ISBN: 978-3-540-55966-5. Fotheringham, A. S. 1991. Migration and spatial structure: The development of the competing destinations model. Pp. 57-72 In: Stillwell, J. and P. Congdon eds., Migration Models: Macro and Micro Approaches. Bellhaven. London and New York. ISBN: 978-0470219409. Fotheringham, A. S. 1991. Statistical modeling of spatial choice: An overview. Pp. 95-118 In: Ghosh, A. and C. A. Ingene eds., Spatial Analysis in Marketing: Theory Methods and Applications. JAI Press. Greenwich, Connecticut and London, UK. ISBN: 1559383801. Longley, P. A., M. Batty and A. S. Fotheringham. 1991. The geometry of urban form and the fractal nature of urban growth. Pp. 175-185 In: Pumain, D. ed., Spatial Analysis and Population Dynamics. John Libbey & Co. ISBN: 978-0861963102. Fotheringham, A. S. 1989. Consumer store choice and retail competition. Pp. 234-257 In: Pellegrini, L. and S. V. Reddy eds., Retail and Marketing Channels: Economic and Marketing Perspectives on Produce-Distributor Relationships. Routledge. New York. ISBN: 978-0415032186. Fotheringham, A. S. 1989. Scale-independent spatial analysis. Pp. 144-149 In: Goodchild, M. F. and S. Gopal eds., Accuracy of Spatial Databases. CRC Press. ISBN: 978-0850668476. Fotheringham, A. S. 1988. Market share analysis techniques: A review and illustration of current US practice. Pp. 120-159 In: Wrigley, N. ed., Store Choice, Store Location and Market Analysis. Routledge. ISBN: 978-1138831261. Fotheringham, A. S. and D. Knudsen. 1986. Modeling discontinuous change in the spatial patterns of retail outlets: A methodology. Pp. 273-292 In: Griffith, D. A. and R. P. Haining eds., Transformations Through Space and Time: An Analysis of Nonlinear Structures, Bifurcation Points and Autoregressive Dependencies. NATO ASI Series, Kluwer Academic Publishers. ISBN: 978-9401084727.